Fresh Wave Fresh Pod is now available in Target. The Fresh Wave Fresh Pod retails at $5.99. Each one holds one Fresh Pack. The odor removing packs are all natural. They really do the job. 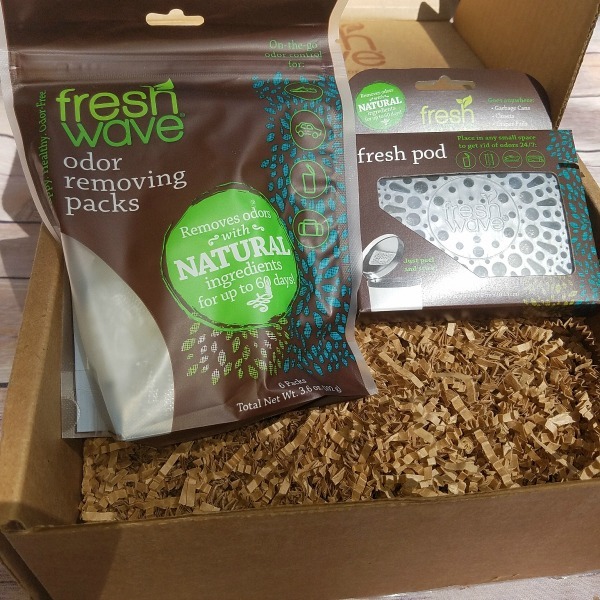 You can attach the fresh pod to a garbage can, in your car, in your bathroom. They last for up to 60 days but tell you to refill every 30 days. We put our Fresh Pod in the bathroom by the trash can. I like the Fresh Pod because it doesn't take up too much space and you place it in areas you can't see. Inside the top of the trash can is perfect too. You can get the refill odor removing packs for $9.99. Stop by your local Target if you need to fight some stinky odors. We also use the odor removing packs in the car. When you travel with kids all sorts of messes and spills happen. It is good to get rid of unwanted smells. I love their products! They really do work great and instantly kill odors! Thank you for sharing. I need to give these a try. Sounds great.